According to monster.com, 36% of all hiring happens in the 4th quarter, which is really amazing since we generally lose one to two weeks of work around the holidays. If you are in the position of going through the hiring and interviewing process in Q4 (or anytime for that matter), you will want to consider what competencies you are hiring for. The Wall Street Journal cites a recent LinkedIn study that revealed 58% of 291 hiring managers believe the shortage of soft skills in the job market is hindering their firms’ productivity. My personal opinion: the same thing is happening to the other 46%, they just don’t know it! Meanwhile, 89% of 900 executives polled by the Journal in 2015 said finding candidates with soft skills has proven very or somewhat difficult. Wondering why “soft” is in quotes? It’s because research now shows these are actually skills that have a “hard” return on investment. See our white paper ROI for Emotional Intelligence. The ship has sailed on people who think these abilities are not important. In our work at the Institute for Health and Human Potential, we know that not only are these types of “soft” skills important, they are even harder to exhibit under pressure. In our New York Times bestselling book, Performing Under Pressure, we make both the research and neurological case that our brains are wired, such that exhibiting soft skills like creativity, adaptability, teamwork, managing relationships, etc., are extremely difficult to do well during pressure situations. Ironically, those pressure situations are the most important times when one needs to be creative, agile, demonstrate empathy, be a good listener and overall, remain calm. 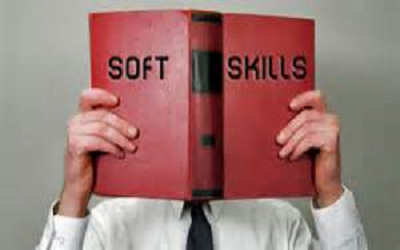 So how do you determine if a candidate excels at exhibiting soft skills under pressure? The best way would be to put them under pressure through some sort of work simulation and observe them. That can be done, but is a very expensive and time consuming process. What other options are there? You could try to do something dramatic in the interview to cause people to feel pressure, but that has moral and legal implications written all over it, not to mention, if it’s not done well you may possibly alienate a really good candidate. 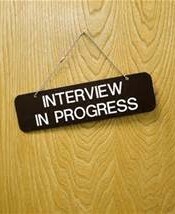 At IHHP we use a technique called Behavioral Event Interviewing (BEI) combined with very targeted questions to determine how a candidate has handled pressure situations in the past and to observe them under pressure. The advantage of using BEI questions to determine soft skills is that when people are asked to recollect a time in the past, it’s much harder for them to describe what they would do vs. describe what they actually did, giving you much better insight into how they have handled pressure situations in the past. In addition, the brain is wired to cause people to start feeling the tension and emotions of the pressure situation just by recalling it. (Just start thinking about the last nasty e-mail you got or difficult feedback someone gave you and you’ll know what we mean.) This allows you to actually observe how the candidate responds to feeling pressure. Explain to the candidate that you are going to use a series of questions that will ask them to recall specific situations in the past and you want them to describe the situation, what thoughts and feelings they had, and what actions they took. Let them know it’s ok to take a little time to think of a situation (the buildup actually adds to the pressure). There are lots of other great questions you can ask and this should give a template. If they are unable to think of a situation, that tells you something – maybe they shy away from tough conversations or don’t like to admit mistakes. Look for how much self-awareness they have of their emotions and thoughts – if they struggle to describe this, they may lack self-awareness. Did the actions they took demonstrate the ability to take ownership, personal accountability, and step into pressure situations? Or were their responses more defensive or did they avoid difficult situations. As mentioned above, when someone starts describing a pressure situation and the thoughts and feelings they had, they can actually start to experience the pressure – their brain will literally begin releasing their stress response chemicals. Observe to see if they get fidgety, start stuttering, look away and even start to lose energy and confidence during the process. Those are signs the pressure is getting to them. If that happens, how do they handle it? Do they pause, take a deep breath and ask for additional time, or do they continue to muddle through and give mediocre answers or struggle to answer at all? We are not suggesting that you don’t ask questions related to things like education, experience, and technical skills. What differentiates people who excel and become top performers is their soft skills and especially their ability to demonstrate those under pressure. As you are hiring this 4th quarter (or anytime), your approach and questions to ask will help you determine what candidates are able to exhibit soft skills when things get tough. And if you ever interview for a job at IHHP, you now know some of the questions we ask –but alas, I didn’t give them all away! We would love to hear your thoughts on this article. Visit our LinkedIn Group to join the conversation that is happening right now! Performing your best when it matters most. We wrote the book on Pressure.